CoSign is a brand new, revolutionary digital fashion company and brand that is giving tools to the everyday fashionista to be able to showcase her/his fashions to the world, all while giving the rest of the public, in return, the chance to purchase those delectable fashion finds! The CoSign website and app allows user to sign up (its free!) and take snaps to be posted on the site, where thousands of people are able to locate, and purchase, your exclusive clothing pieces. The bloggers event took place Saturday, September 20th at the L Lounge on the West Side of Manhattan. 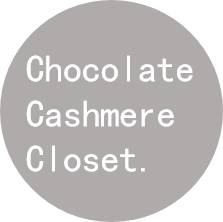 Chocolate Cashmere Closet was, of course, on the scene getting insider deets on all of the bran new aspects the company has to offer to online fashion-seekers. Check out pictures from the event, below!